By Christa T. for Accordion Americana There is something about Midwest America that comes alive in the cold. As the crisp days of October ease Fall into the chill of November and move us into early Winter, music festivals and street parties abound. Mulled wine, craft beer, food and often, men in lederhosen, get the party started during any local Oktoberfest as a precursor to the holidays. It’s always the best time of year for live music. There is a sense of belonging among the throngs of people brought together in large tents with nothing to do but keep warm, laugh, sing, drink and perhaps, dance. They may seem as though they have nowhere else to go but in reality, there is no where else they would rather be. 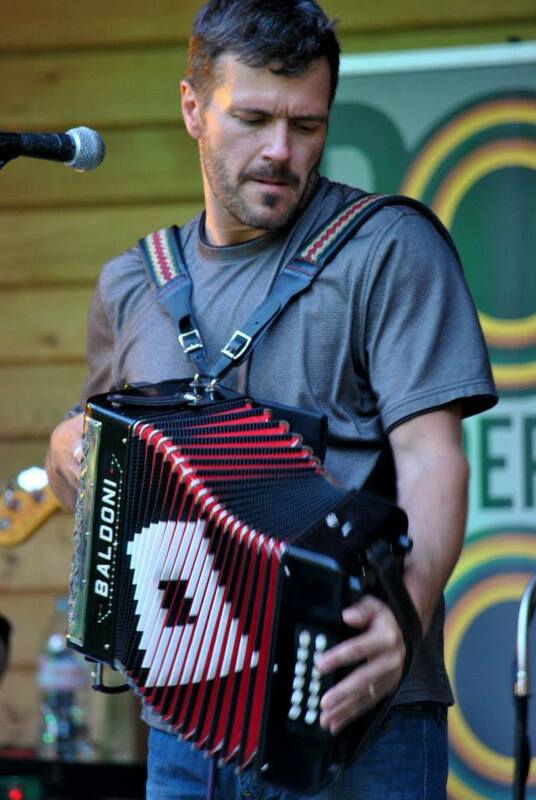 At events held in parks in small college towns or on streets of larger towns in any of the Great Lakes states, often you will see an emerging regional band named Copper Box with Danny Jerabek and his accordion, at the center of it all. 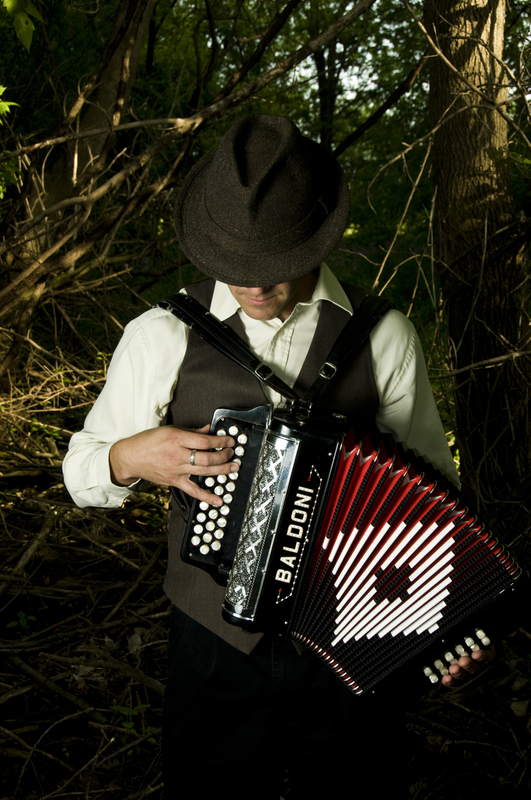 Raised in Ripon, Wisconsin, Danny Jerabek,began studying the 3 row diatonic accordion, a gift from his grandfather, when he was nine years old. As his studies continued, Danny became aware of the Tejano/Conjunto style of playing, and upon being influenced by the brilliance of the late Esteban “Steve” Jordan, decided to make it the focus of his life from that point moving forward. Others tried to persuade him to find a music related career, so Danny went to technical school to learn to repair and tune accordions and other musical instruments along with pursuing his goal as a professional musician. Michelle Thull Jerabek studied the saxophone, guitar, flute, from a young age, and also sang with her family. As young, aspiring musicians, Danny and Michelle frequented the same events, each playing their respective instruments. Both passionate musicians, they formed a strong bond and remained best friends, for years. Married since 1997, Danny and Michelle are on the road continuously, performing over 140 shows each year throughout the Midwest. What began as their polka band has evolved, incorporating music styles such as Zydeco/ Cajun, Swamp/Blues, Tex-Mex/Conjunto and Americana. By 2002, their band came to be known as Copper Box. They eventually teamed up with Jason Van Ryzin, who has been their percussionist for more than a decade. Drew Hicks recently joined the band as a bassist and vocalist. Hardworking and versatile, Copper Box has opened for numerous bands and performers such as The Doobie Brothers, Little Feat, Buckwheat Zydeco, Little Big Town, Little River Band, Brave Combo, Nitty Gritty Dirt Band, Marcia Ball, C.J. Chenier, and many others. 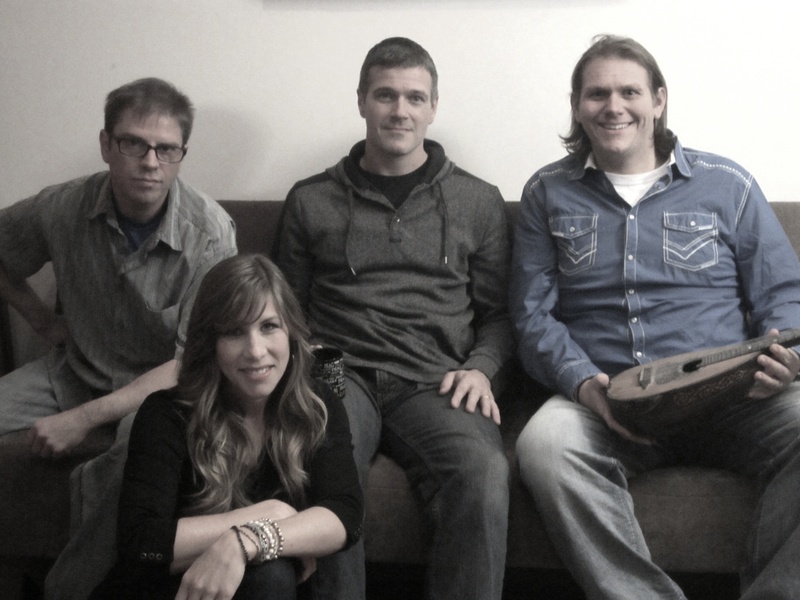 The band has appeared in several national television commercials and was selected to do a music video for Sony used on an American Idol commercial as well as a performance on the nationally syndicated, The Early Show. Wisconsin awards were earned by Copper Box for Americana Artist of the Year, Peoples Choice Award, Specialty Instrumentalist of the Year (Danny Jerabek), Side Person of the Year(Michelle Jerabek). Whether to sit and listen, or to get up and dance, Copper Box is prepared to entertain, and to play and sing anything that folks may want to hear.